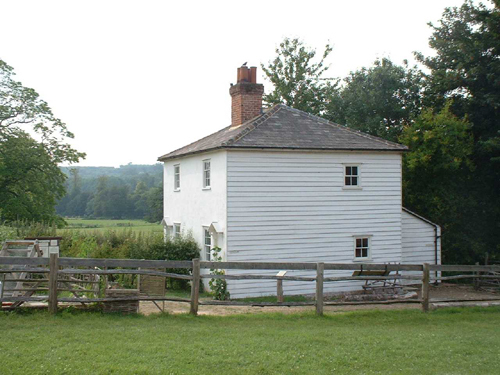 The Weald and Downland Museum is the leading museum of historic buildings in England. Set in 50 acres of beautiful Sussex countryside it is a fascinating collection of nearly 50 historic buildings dating from the 13th to the 19th century, many with period gardens, together with farm animals, woodland walks and a picturesque lake. I was commissioned to carry out the paint analysis of the weatherboarding of Whittaker Cottages.